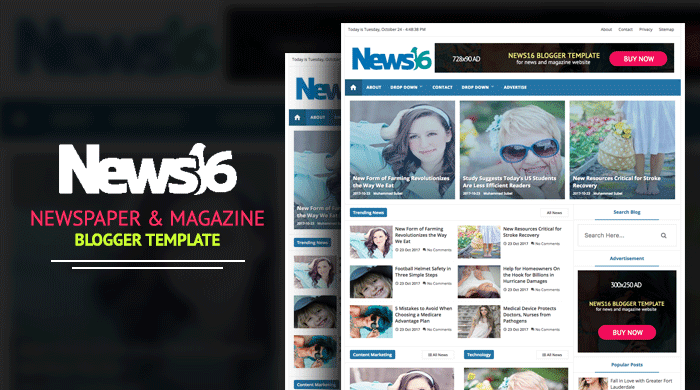 News16 is the another super fast and SEO friendly Newspaper and Magazine blogger Template by Template Mark. News16 is the perfect for any kind of small newspaper blog that hosted in Blogger platform. Check this demo link of News16 blogger template, I hope you'll like this template for your micro magazine blog or newspaper blog.